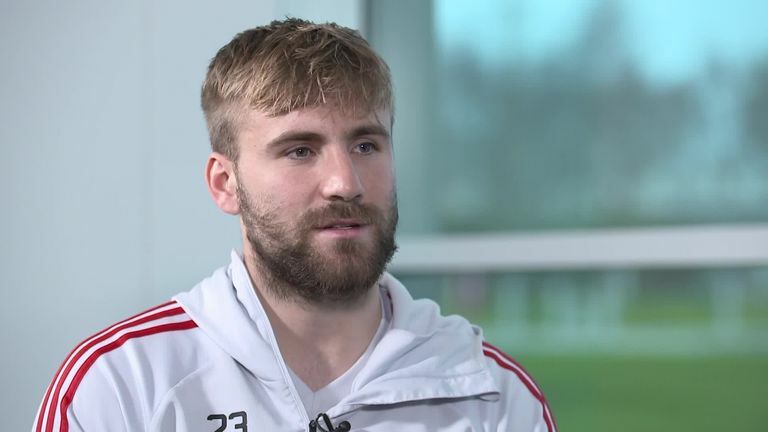 Luke Shaw says there is a "buzz" around Manchester United with Ole Gunnar Solskjaer in charge, and that the new manager is "completely different" to Jose Mourinho. Former United striker Solskjaer has been appointed interim manager until the end of the season following the sacking of Mourinho on December 18. Shaw often came in for criticism from Mourinho and was left out of the side for the final four matches of his reign. Ahead of the Sky Live trip to Newcastle on Wednesday, the defender told Sky Sports that he "thanks Jose for what he did for the club and for me as a person and a player", but added: "Ole has a completely different style to his way and we are adapting to that and enjoying it and that's the main thing. United have won three games from three under Solskjaer as they bid to make up ground and finish in the top four in the Premier League. Shaw signed a new five-year contract in October and says he is determined to stay injury-free and keep his place in the team. "I signed a new contract and I want to be playing every game and trying to help the team as much as possible," he said. "Hopefully I keep playing games and keep myself in the team. "We are not where we want to be and not where we should be, so we have a very important second half of the season. Our aim is to get back into the top four because United without Champions League isn't good. That's where we want to be and what we are fighting for."